But fish are sadly said to be on the “Do Not Eat List” because of the concern over mercury. Also, you’ve probably heard some of the warnings and reports about overharvesting wild fish species and the water pollution caused by commercial fish farms. Here’s what you need to know about fish to make sure that you’re getting fish that improves your health instead of harming it. Yes, certainly they should avoid the fish that might have high levels of mercury but at Body Ecology we have a solution. If you have ever seen a photo or news report on the oil spills that have occurred occasionally on the ocean, you know it is a horrible gooey mess. Microflora are used to clean up the oil spills. They are also used commercially to clean up toxic waste sites around chemical factories. (Be sure to read “How Microbes are Used to Clean Up Toxic Waste – and How to Put Them to Use for De-Toxifying YOU.”) Clearly then we can use the microflora in fermented foods to help us through these toxic times. The long-term health effects of consuming these preservatives are unknown, so it’s best to avoid suppliers who use these preservatives. 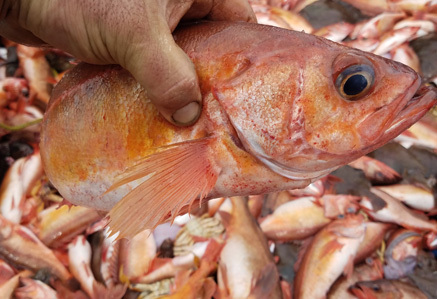 One guideline is that warm water fish (like Orange Roughy) are more likely to have preservatives than coldwater fish. Otherwise, use your judgment and know your supplier to make sure that you’re getting high quality fish without preservatives. When it comes to your health, we recommend wild caught fish, and here’s why: Farm raised fish generally have the same level of omega-3 fatty acids as wild fish, but when it comes to fat and calories, the farm raised fish have more. Because farm raised fish don’t have lots of room to swim and are prone to disease, they are often given antibiotics as well as commercial dyes to give them a healthy color. Even the feed they are given may have toxins that are passed on to the consumer. While farm raised fish often costs less than their wild caught counter parts, the health risks and lack of flavor truly don’t merit buying such an inferior product. Having said this, however, there are many aqua-culturists that operate responsibly and you can eat the fish from these farms without sacrificing your health or that of the planet. One of our favorite sources of heart-healthy, wild fish that is free of heavy contaminants and fished from sustainable, wild fisheries is Vital Choice. What we love most about Vital Choice is their high quality wild fish that is delivered right to your door. In an age when everyone is already so busy, it’s helpful to have convenient options to help us stay healthy. How convenient is that! Keep these guidelines in mind when you shop for fish and you’ll reap the heart healthy benefits of fish without the risks. And if you have not already done so…add at least one fermented food to your diet especially when you eat a serving of your favorite fish. 4: Fish FAQ: The merits and hazards of eating fish, MayoClinic.com. 5: Wild vs. Farm or Ocean Raised Fish, DeliciousOrganics.